Learn how to sign-up for MESH Tracks. 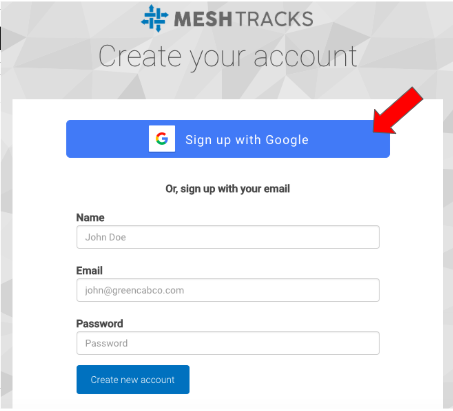 There are two ways to sign into your MESH Tracks Web Account, Google Sign-In or Username and Password. 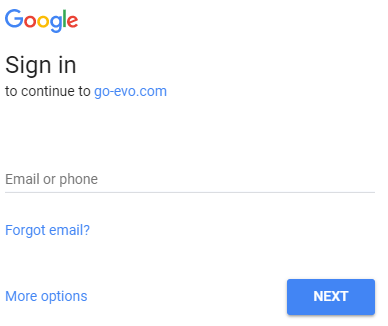 The benefit of using Google Sign-In is that you don’t need to remember your password, and you can create an account quickly. After you allow the first connection via Google you can sign in with just one click. If you are using a work e-mail address, you can associate it with a Google account by signing up here. 1. 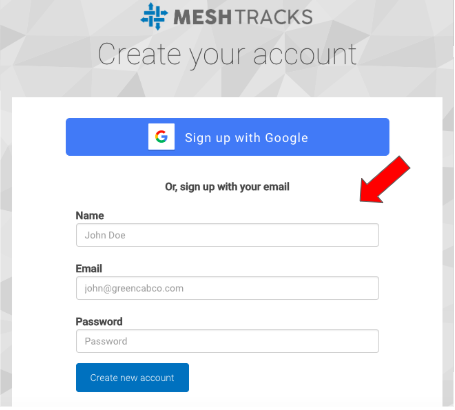 Click on this link to create a MESH Tracks Account. Then click 'Sign up with Google'. 2. If you’re not already signed into your google account you will need to sign in. 3. Enter your email or phone number, and click NEXT to enter your password. Once this is complete you will be automatically connected to your new MESH Tracks account. If your browser is signed into another google account, simply click on the account you wish to use and enter your password. After you choose the account you will be signed into your web account. Alternatively, you may want to create your account using a username and password. 1. Click on this link to create a MESH Tracks Account. You will need to input your name, email address and create a password. Then click 'Create new account'. After you are signed up to your web account follow the initial welcome wizard. It will guide you through setting up your account, and how to connect it with your Android app in order to add your first vehicle to your fleet. 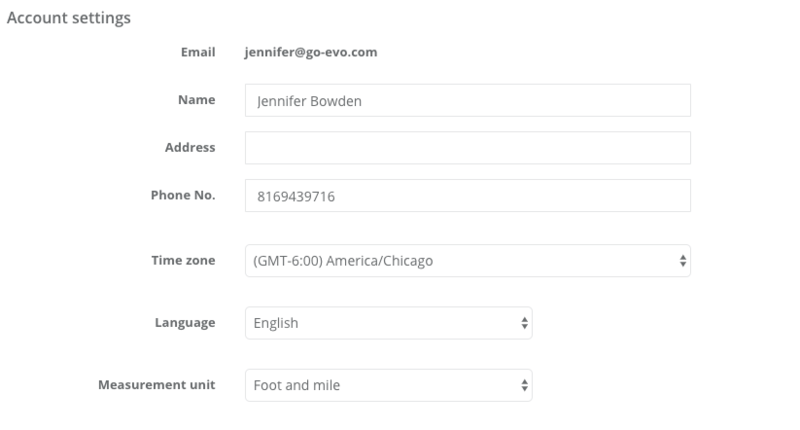 Once signed into your account set up your time zone, language and measurement units. This is needed in order to show your data in the correct timezone and format. To change these settings click on your name in the top right corner of the home screen, and then select Settings. These settings can be changed at anytime.